Spring is here! On March 21, the calendaric spring has officially begun. The days are longer, the sun is showing up frequently and the birds are singing in the background. The trees are putting on their splendid green dress again, the flowers are sprouting from the ground, showing their colorful blossoms and letting life flow into the murky winter landscape. However, in the flowering season, for many people the fight against small globules, which are only a few hundredths of a millimeter big, begins again. They fly through the air in huge quantities and put the immun system of allergic persons unnecessarily on alert. The disease affects about (according to statista.com) 12% of the world’s population it is the famous pollen allergy. The pollen allergy, also called hay fever, is a hypersensitivity against the protein components of different pollen. 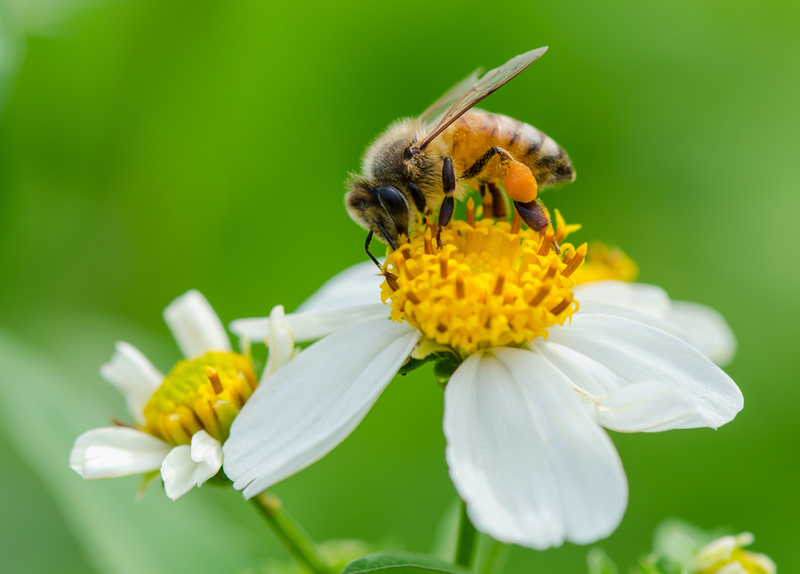 The pollen enters the air, in large quantities, during the grass, tree or herbal bloom and causes an allergic reaction to the mucous membranes of the airways. This disease is also called seasonal allergic rhinitis or pollen rhinopathy. The symptoms are very diverse. Nasal attacks with severe secretion, blocked nose, conjunctivitis, itching, reddened and watery eyes, itching of the mucous membranes, cough, bronchitis and asthma are the most common symptoms. 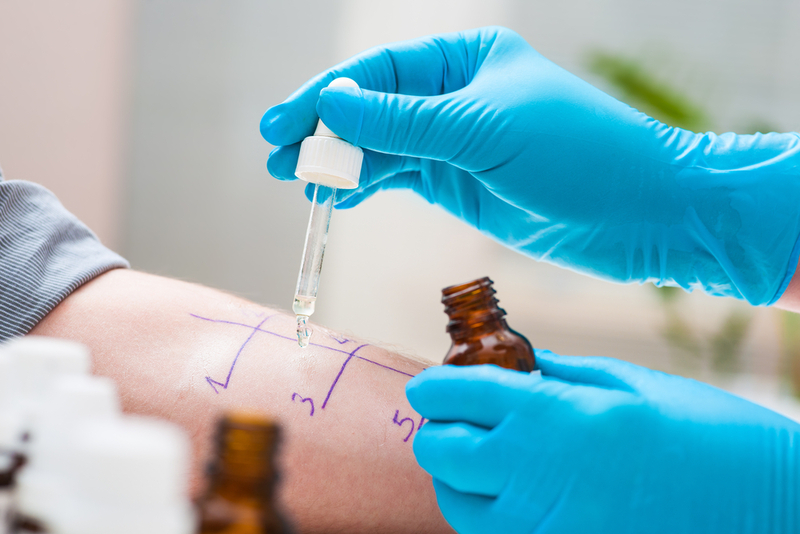 The diagnosis should be performed by a specialist, usually by an allergist. There are several possibilities to diagnose the pollen allergy. The conventional method is the anamnesis, where the affected person explains the course of the disease, which is often sufficient. In addition, a skin test and a blood test can be carried out to ensure the diagnosis and to assess the severity of the disease. If there is a suspicion of asthma, a pulmonary function test is useful in any case, where a test of the reaction of the nasal mucosa to allergens can be conducted. The treatment options should be based on the severity of the symptoms and must always be agreed with a doctor. The simplest form of treatment is to avoid the pollen, but this is only possible to a limited extent. Therefore, in some cases, a treatment with medicine can not be ruled out. For the local treatment, various medicines are available in the form of nasal spray, eye drops or creams. Usually, it is antihistamines or cortisone to counteract the allergic inflammation. To this end, pills, which contain anithistamine active ingredients and are well suited for mild to moderate complaints, are often prescribed and have hardly any side effects. Nasal spray should be used in a more cautious way and not over a longer period of time, as dependency can develop after a short time. A further possibility is to administer a vaccination cure to the affected person at regular intervals. Pollen extract intervenes in the immunological processes, which are responsible for the allergy development. This is meant to habitute the immune system to the allergens in order for the body to develop a tolerance for the allergy trigger over time. However, what you can do, is to stay informed about where pollen occurs, by means of pollen flight calendars and pollen warning services. In addition, you should not be outside on sunny and windy days. It could also be helpful to wash hair daily and do not undress where you sleep so that the clothes, which contain pollens do not contanimate your bedroom, If you are planning to go on holiday, a destination near the sea or in the mountains is recommended. Are you also pollen allergic and looking for a competent specialist who can advise you well. Or are you a doctor and would like to offer your help to those affected by pollen allergy? If so, then you are right at Meopin. Mepoin is an online platform where you can easily and comfortably search for a good allergologist and see how other patients have evaluated the respective doctor or a medicine. As a healthcare provider, you also have the option to create your own Meopin profile and explain to your patients what your specialty is and what treatment methods you work with. You can thus distinguish yourself from other healthcare providers and attract the attention of potential patients. Meopin connects patients and healthcare providers and will change the health sector in the long term. Meopin offers the providers a service to be more effective and efficient and the patients a first point of contact in order to orient themselves in the health sector. Meopin has much more to offer than just a controlled evaluation system and a search function! If you are curious and want to learn more about Meopin, subscribe for our newsletter down here and share our Facebook Page.